Just when we were getting used to 7.1 channel surround sound audio tracks on our movies, our friends at High Def Disc News have pointed out Lionsgate's announcement of The Expendables 2 on Blu-ray that cranks the audio up to 11 -- 11.1 to be exact. The extra channels come courtesy of the new DTS Neo:X codec which includes support for speakers in the front mounted both high and wide to create more of a 3D audio effect that can simulate planes flying overhead or a car driving past. While those who have upgraded their receivers and added extra speakers will mostly experience the effect thanks to upmixing, it does allow for an 11.1 audio track with the extra channel info matrixed into a standard 7.1 audio track. Of course, with a supercharged action flick like TE2 there should be plenty of explosions to give any audio system a workout, and now we have one more reason to check it out when it's released November 20th (just beating the also Neo:X ready Step Up Revolution to the punch.) Beyond the audio there's also several making-of featurettes if you need more Jason Statham, Jet Li, Dolph Lundgren, Terry Crews, Randy Couture, Bruce Willis, Arnold Schwarzenegger, Chuck Norris and Jean-Claude Van Damme in your life, plus UltraViolet and regular Digital Copy; all of which is currently available for pre-order on Amazon for $27.99. Check out a press release with all the specs plus a theatrical trailer for the movie and a video explaining DTS Neo:X audio after the break. 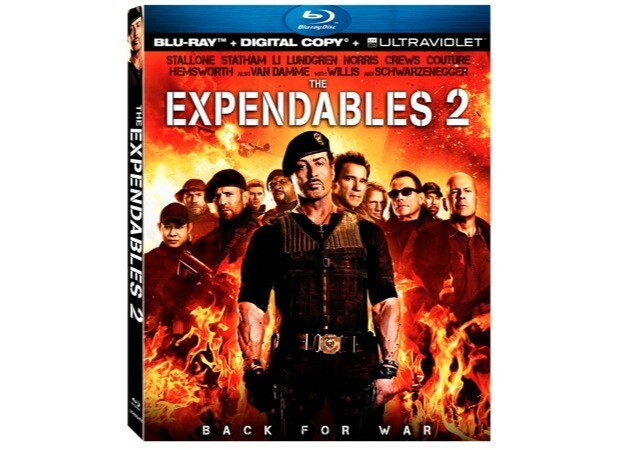 The Expendables 2 Blu-ray ships November 20th and is the first one with 11.1 channel DTS Neo:X audio originally appeared on Engadget on Wed, 10 Oct 2012 20:29:00 EDT. Please see our terms for use of feeds.